Today I visited the Toyota Technical Centre in Toyota City. It’s an impressive grey building, where ‘the engineering magic’ is supposed to happen. 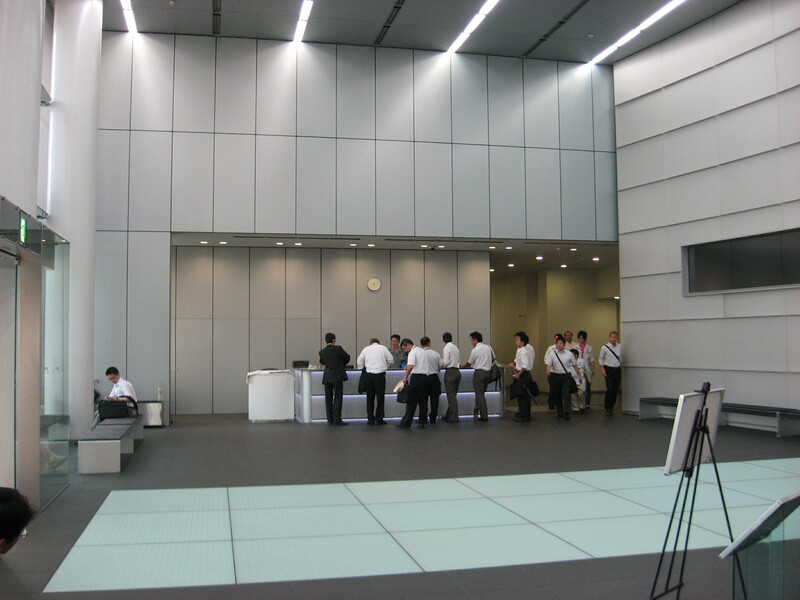 The lobby is made up of shiny grey and white surfaces, filled with salarymen dressed in white, grey and black. Are you starting to get the picture? However, nobody notices these surroundings when entering. 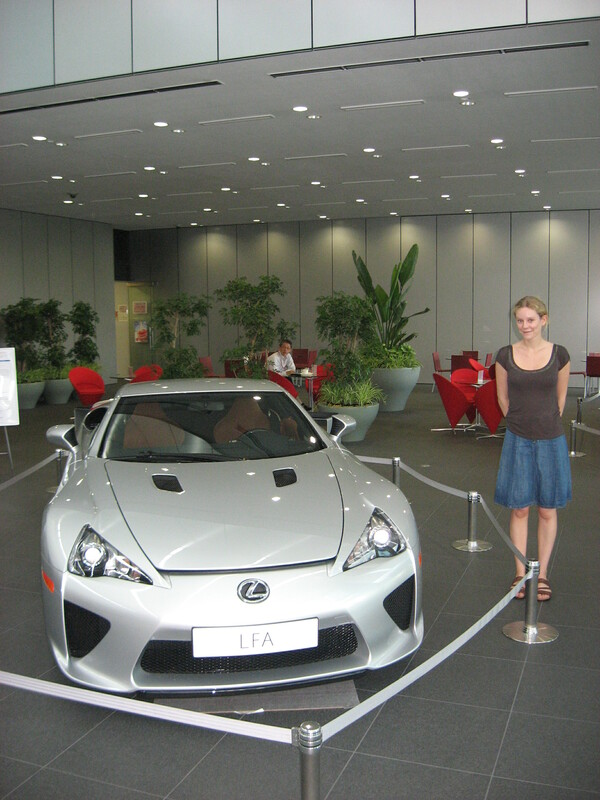 Because inside the lobby, there is a Lexus LFA on display. Half of the readers of this blog will probably react with ‘OMG!!! A real-life LFA!’. The other half will probably think ‘A what???’. The LFA is a super sports car, made by Lexus, which is part of the Toyota Motor Company. Even if you don’t care about cars at all, you have to admire the sophisticated design and beautiful lines that shape the car. If you want to understand what all the fuss is about, you should watch the Top Gear review of this car. After watching this review, even people who don’t know anything about cars – like me – will get excited. This entry was posted in Japan and tagged Cars, Lexus LFA, Top Gear, Toyota City, Toyota Motor Company, Transportation by Haruko-chan. Bookmark the permalink. Nice looking car but over here we do not think much of Japanese made toyota’s anymore because of the many malfunctions they have experienced. I hope they have worked out the problems. The car looks pretty sheek & sporty like. I will say that for sure. Nice display. Good job.